It has been nearly two years since Marko Liu first came to KLI with hopes of changing the Chinese view on leadership. Frustrated with his findings that the Chinese often focused their efforts on leadership development too late in the process, Liu was drawn to the progression of leadership development, changing the scope of his career and leading him to a two-year stint in Claremont. As Liu’s time at KLI draws to a close, he is quite pleased with what he has accomplished. As a full-time researcher at KLI, he took part in several leadership development programs and worked with Professor David Day on a chapter in Professor Ron Riggio’s newly released edited book—What is Wrong with Leadership Development and What can be Done about it? Much of his research will be published soon as well. Liu wrote an article regarding the harm that over parenting can inflict on an adolescent’s leadership development in the Applied Psychology Journal that will be out later this month. The study surveys 1200 families in China and examines the impact that over parenting has on leadership emergence and self-efficacy in adolescents, which remains relevant today given helicopter parenting in the United States and China. Before returning to China, Liu presented his research on leader development across a lifespan at the 27th annual Kravis de Roulet Conference. In Beijing, he will be taking a professorship position with the Beijing University of International Business and Economics with plans on integrating his KLI experience to his teaching career. “KLI has a very warm, productive, interpersonal culture which really impressed me. When I first arrived, I felt pressure because of the well-known professors here, but when I settled in, I realized that everyone was really close. Anytime I had a new idea that I wanted to discuss, professors David Day and Ron Riggio always welcomed me in. I think that this encouragement, especially toward undergraduate researchers, is something that I really appreciated. I hope to bring this attitude to my future students. I want to encourage students to think more and view me as an equal to promote discourse,” Liu said. With research experience from KLI as part of his Ph.D. program in his repertoire, Liu is slated to graduate from Beijing Normal University in May 2019. There is no doubt that CMC places a heavy emphasis on leadership, but does it actually inform or educate students on the qualifiers of good leadership? In previous years, leaders faced different challenges than leaders today. Therefore, leadership has evolved over time. It is important to address the ways in which these changes have impacted our current perception of good leadership so that we can successfully modify our leadership practices. On September 24, the Kravis Leadership Institute hosted its first discussion in the Leadership Dialogue Series facilitated by David Day, Ph.D, Professor of Psychology and Steven L. Eggert ’82 P’15 Professor of Leadership, and KLI Academic Director. These intimate gatherings occur once a month with the goal of establishing a group of students and faculty who are deeply passionate about topics pertaining to leadership. For this discussion, the conversation evolved from two questions: what is the nature of good leadership, and how do we develop leaders for the 21st century? According to Professor Day, having exposure to leadership studies or formal leadership roles is by no means a requirement to attend the dialogue series because “at the end of the day, we all hold an implicit leadership theory, regardless of our experience in formal leadership roles.” One student expressed how she felt unsure about attending due to her limited leadership experience, but this response quelled her concerns. Interestingly, it was everyone’s different leadership background that informed the conversation because it encouraged diverse responses and perspectives. For example, when Professor Day asked the group about what they felt qualified as good leadership, each responder held a slightly different opinion than the next. To some attendees, good leaders have empathy, impact lives, and take responsibility for themselves and others. To others, good leaders listen, empower their communities, and respect the beliefs of others. Clearly, there is no one-size-fits-all definition for good leadership. As for the second question about developing 21st century leaders, attendees agreed that the conditions for leaders have changed significantly. Lee Skinner, Professor of Spanish and Associate Dean of the Faculty, noted how 21st century leaders must know how to leverage and interact with technology. Moreover, “access to information has transformed the nature of leadership. Now, it’s more about what to do with information rather than simply knowing it. People, leaders included, must collaborate in order to succeed in the 21st century,” according to Fernanda Lozano ’20. At the end of the session, I chatted with Jen Petrova ’19 who shared her thoughts on why it’s important to have these discussions on CMC’s campus. How did you like today’s Leadership Dialogue Series? I really liked how it was a combination of not only students but also staff and professors. Hearing everyone’s different opinions is extremely valuable especially when discussing the topic of leadership. What did you learn today and how do you plan to apply what you learned to on-campus jobs and your future career? I learned that leadership is ambiguous because good leadership can be subjective, but at the end of the day, leaders have a responsibility to the company, the people, and the planet. Also, I learned the value of not leading with an egocentric lens but rather thinking about how my leadership can improve the lives of others. Do you think there are flaws in how CMC students view leadership? Is there room for improvement? In general, I think there is always room for improvement in regards to leadership. One thing I love is how KLI not only offers classes in leadership but also hosts leadership dialogue series. This allows us to understand what we value in good leaders and then try to apply these traits in our professional lives. I definitely recommend more students attend these dialogue series as a way to enhance their leadership capabilities. It’s true: good leadership can be ambiguous. However, KLI seeks to clarify this uncertainty by starting a dialogue around what it means to be a good leader, both on campus and in the workforce. Join us for our next session on Monday, October 29 in Kravis 103 from 12:15 p.m. - 1:15 p.m.
Our team had an amazing few days at the 20th Annual ILA conference in West Palm Beach, Florida. We were tasked with analyzing a contemporary socio-political-economic problem on a notional or global level. Our topic of research was applying transformational leadership to address the lack of adequate public education to refugee students resettled in the USA. We chose to focus on urban refugees as 60 percent of refugees are now living in cities and dispersed among host communities rather than in camps. Whereas refugees in traditional camps were offered educational services within the camps, urban refugees must be more self-reliant in meeting their basic needs and finding educational opportunities. Hence, urban refugees face the challenge of integrating themselves into formal and informal economies and existing structures, namely local education systems. More than half of all refugees are school-aged, thus it is alarming that refugees are five times more likely to be out of school than the global average. Millions of refugee children and adolescents do not enroll in schools in their host country: only 50 percent of refugee children have access to primary school; only 22 percent of refugee youth have access to secondary school; and only 1 percent of refugees have access to higher education. Past research has supported the need to ensure the educational needs of refugees are met, as past research indicates education is important in social and emotional healing of refugee students. As the average length of displacement for refugees is up to 20 years, now is a critical time to address the lack of educational access for refugees. We researched five systemic causes that have contributed to the lack of access to education for refugee students in the USA: Individual, Social, Cultural, Political, and Economic. In terms of individual systemic causes, refugee students often cope with post-traumatic stress disorder, homesickness and stress over family separation. Social systemic causes include overcrowded and underfunded public schools and teachers lacking adequate training and resources to properly support refugee students. Cultural barriers include xenophobia in host communities, and varying levels of English proficiency in the refugee students. Economic factors include the fact that refugee students are often expected to work to provide for their families. Additionally, resource allocation is left up to each individual school district, and thus reflects the socio-economic condition of the area, and varies significantly from area to area. Furthermore, there is no one unified system to place students in different schools. Politically, support for refugees fluctuates. Our solution is to apply transformational leadership in 3 ways: building a coalition of existing organizations dedicated to the cause to streamline resources and efficiently work together; creating an interdisciplinary task force at the city level comprising of local legislators, economists, psychologists, educators, and representatives from organizations that work directly with refugees; and lastly, partnering with education technology startups to set up personalized curricula online to get the students up to speed, whether that be learning English, or catching up on core subjects. In each solution, transformational leadership is used to combine separate and disjoint initiatives to achieve a shared common goal. Additionally, in the task force, team transformational leadership is used, and the members of the task forces are influencing each other to achieve their common goal. During this conference, our team changed from a group of acquaintances to a high-functioning team that collaborated very effectively. We rehearsed our presentation really effectively, ensuring we had smooth transitions and an engaging narrative, reminding our audience why they should care about this issue. We attended many sessions at the conference, from leadership in times of crisis, which was very applicable to our presentation, to women in leadership. The experience helped us all develop our collaboration and presentation skills, and was a rewarding experience, as we got to apply something we had learned about in school to a real world issue that we all deeply care about. We are thankful to KLI for making this experience possible! Tracy Gray (left) during the keynote lunch panel at the 26th Kravis-de Roulet conference. KLI launched the third of the four Non-Profit Success series conferences on March 1, 2018 incorporating it with the Kravis-de Roulet conference (KDR). How We Rise: Strategies for Social Innovation was a day and a half focused on developing skillsets required to accelerate transformative and lasting impact. The program kicked off with an Athenaeum dinner where Cheryl Dorsey, President of Echoing Green, gave her keynote address on executing responsible leadership in the 21 century. The official launch the following morning, began with two speeches—one from Tina Rosenberg, Co-Founder NYT Fixes Column, on Building a Culture of Solutions Thinking and another from Kathleen Kelly on social startup success, on How Do the Best Startups, Scale Up, and Make a Difference. The momentum continued throughout the morning and all breakout session participants came together for lunch for an impressive panel of female serial entrepreneurs, venture capital (VC) founders, and social innovators. These female leaders talked about their diverse career paths and shared their respective journey towards social innovation. The women encouraged students to take advantage of the growing momentum the social innovation trend has gained in the corporate sector. It was amazing to hear the diversity of options surrounding a career in social innovation. Tracy Gray, founder and managing partner of The 22 Fund, and Executive in Residence at Los Angeles Cleantech Incubator (LACI) talked about founding her own VC that targets funding for women and people of color and her experience at LACI. She spoke about gender disparities in venture capital industry. Over the last twenty years, there has been a decline of women in VCs. Gray thought there was something wrong with this equation, so she started her own VC to democratize startup investment. Gray explained, “I wanted women to know that they were empowered to change the world. If women had the same access to capital during the recession, we would have created double the jobs. It is an economic empowerment to invest in women.” The 22 Fund VC is currently raising their fund and is looking towards investing in the future. Gray left the audience with an inspiring endnote that resonated with many CMC students, especially given our preprofessional inclinations. “I wanted to make a ton of money, and I wanted to do a ton of good, and I was constantly being told that I couldn’t do both. My goal was to find ways to do good and not trade off market rate returns. Now the world is understanding that this is possible,” said Tracy. This lunch proved to students that they do not have to decide to make that trade-off. It showed students the multitude of options that are available to them in social innovation. The Kravis Leadership Institute welcomes two new Advisory Board Members, Arjun Dutt ’07 and Gregory Hinckley ’68. Please join us in welcoming our newest members who will be joining our current Advisory Board. To learn more about their background and work, you can view their biographies below. 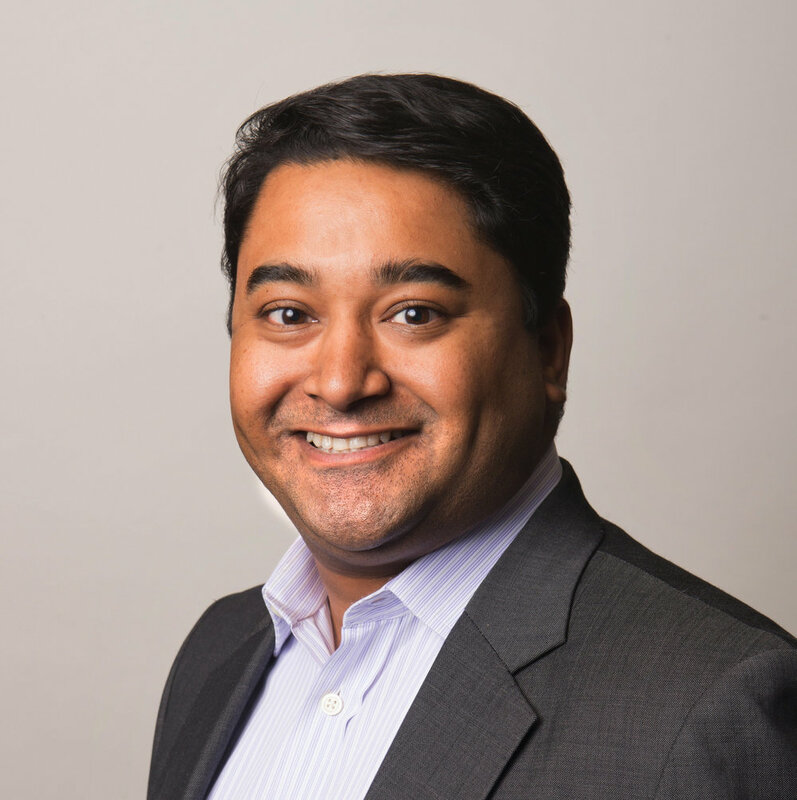 Arjun Dutt '07, is currently the VP of Product Strategy at Semantify, a startup based in Chicago. Semantify is the world’s first AI powered cognitive search and analytics engine for enterprise data. He oversees the long-term corporate strategy and funding efforts, as well as the product marketing function. Prior to this role, Arjun worked for Fieldglass, a Chicago based tech startup. Fieldglass was acquired in 2015 by SAP for $1.1B, making it the first unicorn exit in Chicago history. During his 9 year tenure, Arjun held various entrepreneurial roles, including innovating the very first customer success management team, as well as establishing and leading operations in Europe for Fieldglass’ EMEA expansion, based in London. He also oversaw the creation of the in-house strategy group, which used big data analytics to drive the delivery of innovative new products and services. As a seasoned public speaker, he was one of the lead spokespersons for Fieldglass at conferences, webinars, analysts, and more. His final role at Fieldglass was to lead the year long merger integration between Fieldglass and SAP. Arjun is deeply involved in the Chicago startup scene, investing in and advising entrepreneurs and startups in various stages of growth. Arjun uses his experience to regularly consult with startups on their product marketing and growth strategies. He is active in Chicago philanthropy, and is currently co-sponsoring a 3 year long exhibit of Underwater Beauty at the Shedd Aquarium. Arjun graduated from CMC in 2007 with a BA in Psychology. During his time on campus, he was actively involved with ASCMC all four years, including serving as the ASCMC CTO from 2005-2007, and was a founding member of the Information Technology Advisory Board (ITAB) and the co-founder of the annual Silicon Valley Networking Trip. Arjun serves on the Boards of the Kravis Leadership Institute and the Center for Innovation & Entrepreneurship (CIE), is one of the leads for President Chodosh’s Chicago Leadership Group and co-head of the Chicago Alumni Chapter. Gregory Hinckley retired in 2017 as President of Mentor Graphics Corporation, a publicly traded provider of electronic design automation solutions that was acquired by Siemens AG in 2017. Previously, he served as Chief Financial Officer for two other publicly traded companies—VLSI Technology, Inc. and Bio-Rad Laboratories, Inc. Mr. Hinckley is a director of SI-Bone, Inc., a privately held orthopedic device company, and Bio-Rad Laboratories, a publicly traded supplier of products and systems for clinical diagnostics and life science research. He previously served as a director of Intermec, Inc., a publicly traded provider of automated identification and data collection(AIDC) solutions; a director of Super Micro, Inc., a publicly traded provider of advanced computer server systems and subsystems; and a director of Amkor Technology, Inc., a publicly traded supplier of outsourced semiconductor packaging and test services. In 2011, Mr. Hinckley was named Oregon Technology Executive of the Year and in 2013 was named Honorary Professor of Electrical and Electronic Engineering at The University of Nottingham in Ningbo, China. Mr. Hinckley is a Trustee of Claremont McKenna College, a Trustee of Portland State University and a board director of Portland Opera Association and Portland Playhouse. He earned a B.A. in Mathematics and Physics from Claremont Men’s College; studied Applied Mathematics at the University of Nottingham in England as a Fulbright Fellow; earned an M.S. in Applied Physics from the University of California, San Diego; and earned an M.B.A. from Harvard Business School.